Lucid Dreaming to Expanded Consciousness & Personal Realization | Roots and Wings yoga and healing arts, Natick, MA"
Join authors Robert Waggoner & Sandy Corcoran for 2 days of successful techniques and practical guidelines to enhance your lucid dreamer skills. 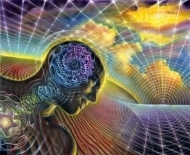 We will explore the fundamentals of various altered states (lucid dreams, OBE's, etc. ), and give methods to uncover the insights your infinite Self is offering through your dreamscape symbology. Pease bring a journal, one dream, and a single terminated clear-quartz crystal and your curiosity.